In today’s interview I get to speak with the CEO and Co-Founder of OURA Health, Petteri Lahtela, about the upgraded new Oura ring and how it can help you recover from the daily stresses of life and achieve better sleep using your own body as a guide. 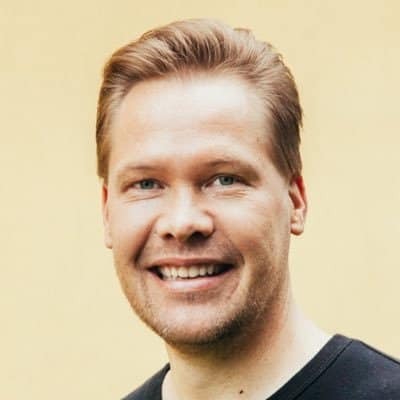 Petteri is very passionate about creating meaningful tech solutions that allow people to make custom lifestyle changes specific to their needs so that they can perform better and stay healthy today and in the long-term. Every individual is different and in today’s interview we get a chance to talk about how the new Oura ring can be used to tailor various aspects of your life in ways that work best for you. If you know someone who is interested in learning more about how they can get better quality sleep, why it is so important for our health and performance, and how the Oura ring can help us achieve optimal timing for sleep, meals or even exercise, this interview is for them. I enjoyed this interview as I use the Oura ring to measure how I’m responding to various influences in my life. You can read why I rate the Oura ring as my number one sleep tracker here. After speaking with Petteri, I have a better understanding of how I can use the data and extrapolate it beyond just a measure of sleep quality. The Oura ring is an invaluable tool that helps me gauge how well I’m doing overall and warns me of any potential issues that arise so I can address them in time. Special $50 off discount code offer on a new Oura ring. Go to Ōura ring website here and enter the coupon code “BIOHACKERSLAB“, without the quotation marks, and you will get the discounted price off the RRP price at checkout. Special thanks to Petteri for joining me on the show. Enjoy the episode! [00:00] – If you are interested in purchasing one of the new generation Oura rings’ that we are discussing in today’s podcast, you can get a nice discount on any ring option by entering the discount code – BIOHACKERSLAB at checkout on Oura’s official website. [00:31] – Introducing Petteri Lahtela, the CEO & Co-Founder of Ōura Health Ltd., & whose Oura sleep ring is the world’s first wellness ring and app designed to guide you to improved sleep, health and readiness to perform, based on data about how your body responds to your lifestyle. [02:16] – We learn the history of how the Oura ring came to be. It started about seven years ago, a group of people with many years of experience in different areas got together to try and come up with a simple solution to a complicated question: How can we help people recover from their daily mental and physical strain so they can perform well and stay healthy? They explored existing solutions and dug even deeper looking at all the necessary physiological signals to develop suitable prototypes. The goal was long-term data access with the highest level of accuracy and increased wearing comfort. The result was the generation one Oura ring. [06:14] – Petteri explains how they decided to go with ring form factor vs a wristband, watch or necklace because it made the most sense in terms of functionality and design, but how at the onset they faced numerous challenges creating the prototype. This was because it was difficult to fit the necessary technology into the space of jewellery ring sizes. Fortunately, the battery technology evolved enough allowing for a comfortable wearable design that recorded a variety of highly accurate scientific measurements, which were much more useful when combined than when used alone. [09:22] – The company and the ring launched in March 2015 at the San Francisco festival. Following that, they took the ring to Quantified Self events and sleep conferences to introduce it to a wider audience and get more feedback with regards to people’s needs. Finally, in Aug/Sep 2015 they started a Kickstarter campaign that resulted in 2400 orders over 37 days. The first deliveries were sent out in Dec 2015. [13:00] – How does the accuracy of the Oura ring compare to tests done using medical equipment, such as the polysomnogram? Petteri explains how at Oura the aim is to provide a meaningful solution for people and validate the derived signals against the golden standards. In fact, their heart rate (HR) measurements are at 99.9% accuracy compared to the ECG, the heart rate variability (HRV) is at 98.4% and the temperature sensors are tested against the golden standard used in clinical settings and are within a 0.07 degrees centigrade resolution when measured during the night – Petteri explains why this is the best time to measure body temperature. [17:01] – Due to the accuracy of the Oura ring’s temperature readings, it has been clinically validated as suitable for use in tracking the menstrual cycles of women, allowing them to determine the timing of ovulation. We discuss raw signals and derived signals such as sleep staging and sleep quality. Oura has been working with several big international organisations and sleep labs to get continuous data and comparing it against polysomnogram measurements. [19:52] – The ring’s scientific accuracy was also independently reviewed by the Stanford Research Institute and the results – published in the Behavioral Sleep Medicine journal – were very positive, stating that the Oura ring is the first wearable to have demonstrated such accurate results. [22:02] – The second generation new Oura ring that’s coming out in April 2018 gives us even more access to HRV ratings. And while Oura has always used proprietary methods to measure these signals, they were able to improve the sensors even more and get a signal that is at least 10x stronger. The new version will have a more accurate pulse waveform even during the day. In addition, it will also feature an improved battery. The three new product options are the: Heritage, Balance and Balance Diamond available in these different colours: silver, black, premium rose and stealth. [23:37] – We discuss the possibility of using the Oura as a HRV monitor and connecting it to a iOS or Android HRV app. With the generation two ring, that will be possible as it has different API’s that can be connected to other systems, e.g. Clue app integrated through the Oura cloud interface to pull out the data they needed. [25:03] – The first generation Oura ring focused on taking measurements during the night. Compared to the second generation ring that now has a battery life that is significantly improved and, during a 24-hour period, it is able to take measurements for 12-14 hours continuously, taking the most useful measurements. [28:33] – This new ring will also potentially offer access to some of the live health data. We will be able to see how our body recovers after exercise, or after eating certain foods during the day. Petteri suggests that people should think of the new Ōura ring as a platform that will allow its users access to new and evolving features through software updates. [31:28] – The generation one Oura rings will still be supported as long as there are people still wearing them, however, not all daytime functionalities will be available due to the improvements in signal quality and battery functionality of the second generation rings. [32:11] – Oura is happy to collaborate with other app providers who are using bio-signals for various applications where bio-feedback is useful, e.g. stress management, performance optimization, meditation, etc. [33:20] – The importance of recovery and quality sleep is often overlooked when focusing on exercise. By knowing the amount of restorative, quality sleep we are getting we are better able to balance the intensity of our activities each day. Oura gives us a tool for understanding our capacity each day and provides us with an opportunity to self-reflect on how our body responds to pushing the limits. [35:32] – Oura can be very useful to athletes for recovery, but at the other end of the spectrum it can also be used by people who are recovering from illness to track how well they are doing. Even when we are feeling better, there are still things going on in the body we might not be aware of and by pushing ourselves too soon, we impede our recovery. The readiness score can be very valuable in this sense. [38:38] – Petteri explains how the interbeat interval (IBI) and pulse waveform variation are used to derive the respiration rate. Numerous parameters affect our measurements and can be indicative of an imbalance that needs to be addressed. [40:17] – Dr Lee Know talked about the importance of our mitochondrial health last week. By quantifying our energy levels with the Oura ring we could potentially extrapolate that data to quantify our mitochondrial health. Petteri also explains how medical professionals have used blood glucose monitors with the ring and found a correlation showing an inverse relationship between glucose levels and the readiness score (which is a good indicator of energy levels). 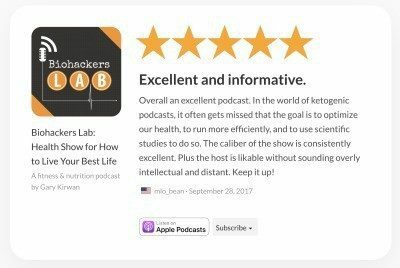 [Biohackers Lab Tip: Get a Keto Mojo Ketone & Glucose Monitor]. [42:19] – We discuss the Oura ring’s ability to quantify indicators of sleep deprivation which, in turn, can be indicative of other imbalances in the body. We discuss how a study done in Finland with healthy young firemen really highlighted the importance of sleep quality. In the future, the information collected with the different Oura rings could potentially allow for characterisation of certain disease conditions and be a great source of information for various medical applications. [47:49] – Many doctors, like Dr Peter Attia, as well as sleep clinics, use Oura with their clients as it helps provide them with a meaningful solution. Oura also work with several universities and university hospitals. [48:46] – So really, how does the ring know when you have fallen asleep? Petteri explains how there are several changes in bio-signals that happen. One of the big ones is the change in body temperature, but also, the heart rate decreases a little, there is a change in the breathing pattern as well as body movement. The same goes for different sleep stages – each has different characteristics and patterns. [51:41] – It is a remarkable achievement to have all this happening within the ring. It does not need any other device to calculate the algorithms. The second generation is even more impressive, featuring a double core processor that is more powerful and has enough memory to store enough data for more than six weeks, continuously. Therefore, it doesn’t need a continuous Bluetooth connection to your mobile and only connects for two-three min per day. [54:04] – Can the Oura ring’s data be manipulated by the environment? Petteri explains how the ring is tightly connected to your body so the variations in external temperature wont affect the measurements. But what you can see is how the room temperature is affecting your sleep and optimise this accordingly. [1:00:20] – Petteri explains why the lowest heart rate is such an important feature. From the time the body reaches the lowest resting heart rate, to the time you wake up is the time you are recharging, recovering and building capacity – it is a restorative period. [1:02:57] – Do different ways of eating affect sleep? There are benefits to practicing intermittent fasting in terms of sleep quality and our ability to recover. What’s more, there is a lot of information that can be extrapolated from the data the ring provides in addition to sleep quality. For example, it can help us determine what time of day we should be fasting or what food we react to negatively. The app can help us become more aware of things that are affecting us and help us achieve our goals. [1:10:36] – Some common things that negatively affect sleep quality and quantity include: alcohol, exercising late in the evening and blue light – the use of blue light blocking glasses at night and blue light filtering software like Iris can help reduce artificial blue light night time exposure. Like most things, the sensitivity to these things also varies between individuals and not everyone will be impacted the same way. It is important people find out what works for them specifically. [1:22:33] – A final note just to let people know that, even though we focused mostly on sleep in this episode and didn’t go into the activities tracking feature, the Oura ring can also measure activity levels. Hi, thanks for the podcast! Upon ordering, the $75 discount using the code Biohackerslab is $50 not $75. I sent an email to Oura asking about it and i’m waiting to hear back. Will they still honor the $75? I just checked and it was $75 off during the pre-order phase. Now that the new Oura ring is out of pre-order phase the new discount with the code is $50. I’ve updated that part on the page to reflect the new changes. Thanks for the heads up on this needing changing. Can this ring detects seizures? and overall health.